Every fall our beekeeper, Chuck Linebaugh, harvests the honey from our two hives. He typically takes 1/3 of the honey for us to jar and leaves 2/3 of the honey to feed the bees throughout the winter. 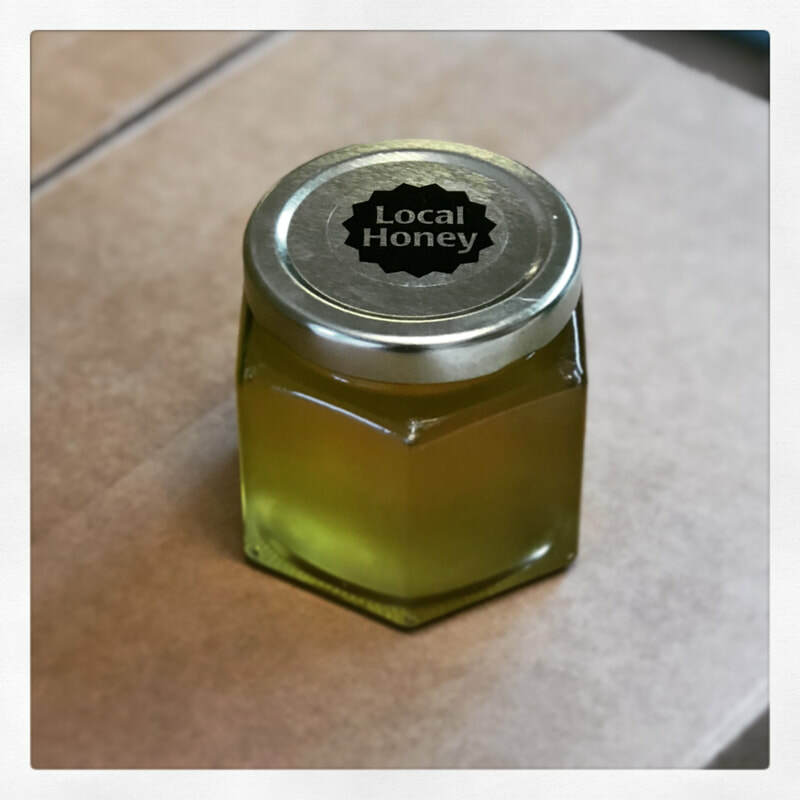 This year, we were lucky enough to harvest 4 gallons of honey! I jar the honey at my house: first I sterilize the jars and tops by boiling them in water for 5 minutes. Then, they dry over night. 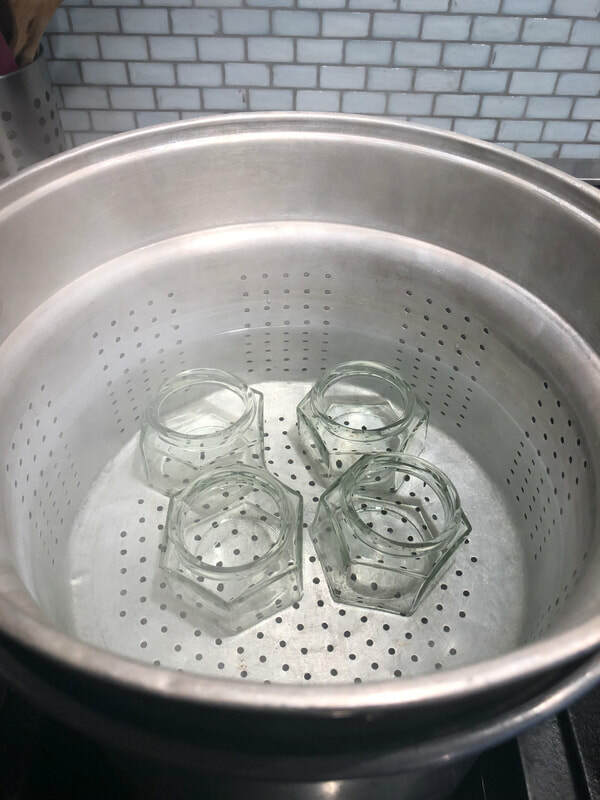 Next, I warm up my kitchen so that the honey will flow nicely into each 6 oz. jar. 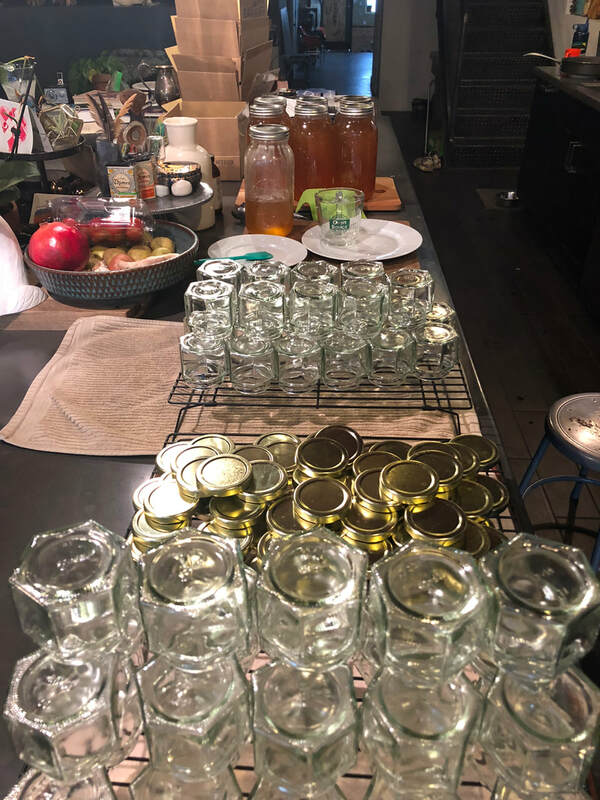 It's messy but I've kinda got a good system down and don't waste much honey at all. 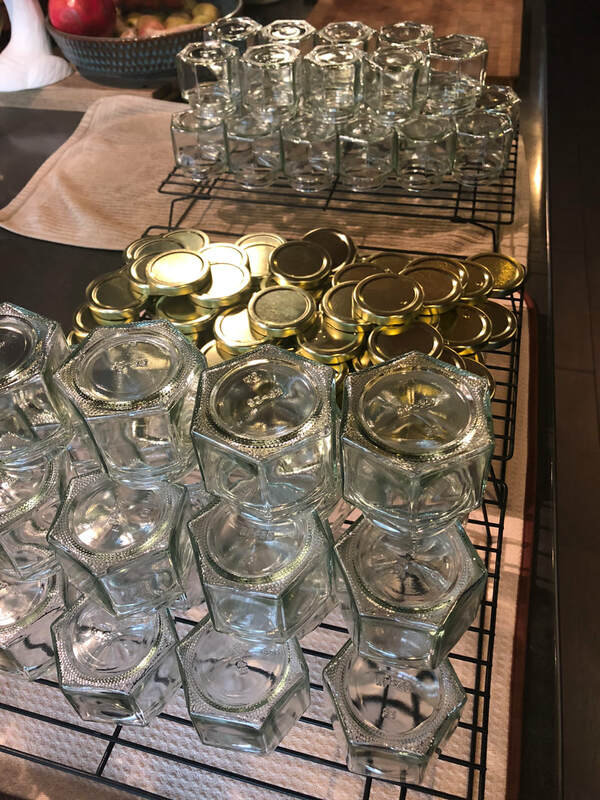 Jars will be for sale December 18, 19 and 20 in the front hall of Mayer from 3:00 - 4:00 p.m. Only $10 a jar and 100% of sales goes right back into The Garden Project budget to keep our honey bees and chickens happy. Everyone wins! Every fall, I invite all of the grades out for a mini field trip around the school. Classes learn about the gardens and what happens to the plants once the weather gets cold. They learn about all of the important jobs of our honeybees and tour the hives. And lastly, they get to hang out with the chickens and trust me, the kids LOVE the chickens!! My name is Anastasia Hinchsliff and I am the Wellness & Sustainability Coordinator at Oscar Mayer Elementary School.